A party invitation is exciting for both the sender and the recipient. Invitations are available in every conceivable theme, format and style – we’ve reviewed everything from customised printed invites to electronic invites, downloadable ‘printables’ and even invitations printed to look like event ticketing. Here’s a quick round-up of the pre-printed paper variety that we have looked at across the past year. 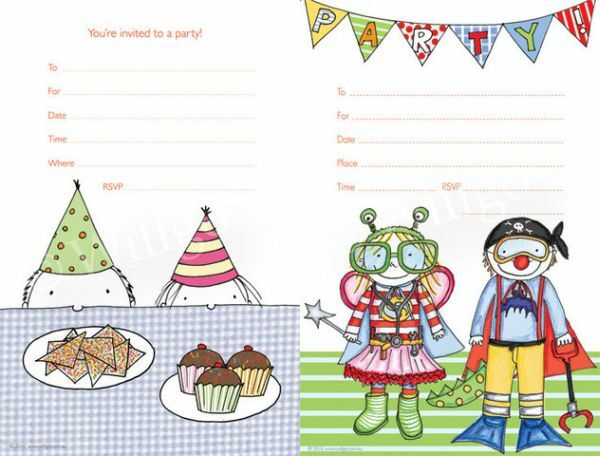 For our next party, I have designs on invitations from Willgo – there’s a wide choice of fun and cute designs that will really appeal to kids. The green monster is terrific but my favourite is the design showing kids in dress-ups (pictured above). 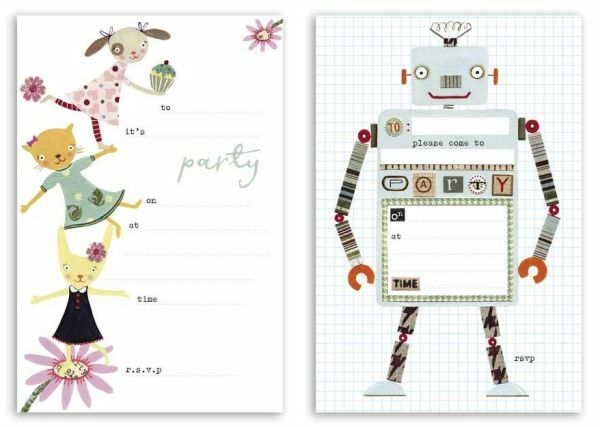 Babyologists sighed with pleasure when we showed off the gorgeous range of invitations from Diana Platt. The designs are whimsical, detailed and good fun. 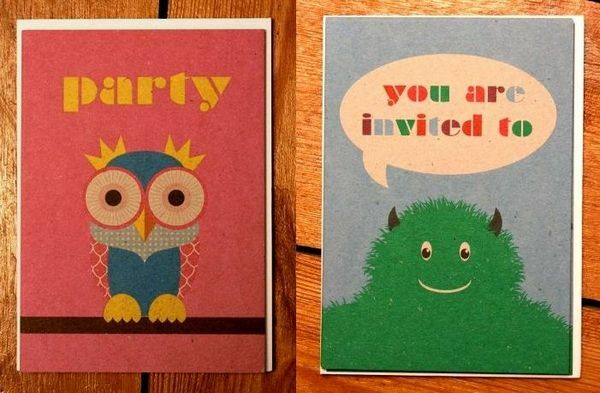 Parties are all about folk-arty goodness, sweet owls and polka-dotted fun at HiPP. Their neat invitation design combines the invite and envelope in one. 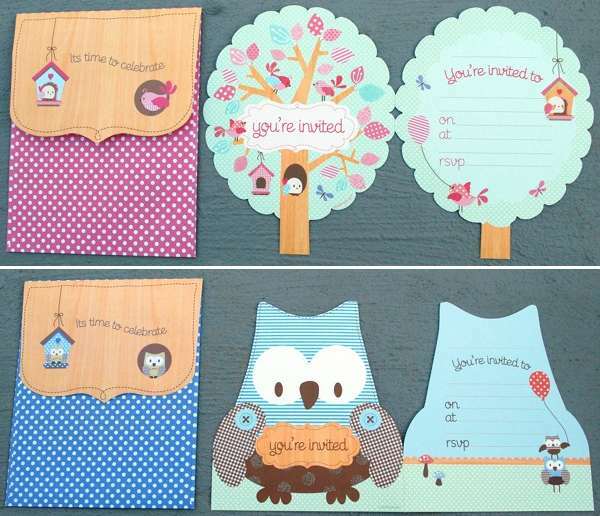 If you’re on the hunt for baby shower invitations, their elephant design (in pink or blue) is gorgeous. 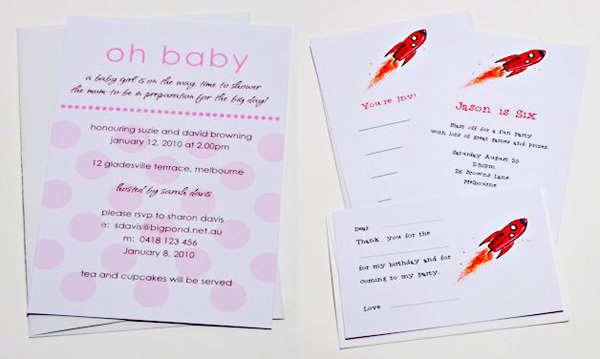 Little Beehive’s strong graphics in bright colours are fantastic – I particularly like the we-don’t-know-what-we’re-having-non-gender-specific baby shower invitations – how sweet are those gumnuts?! Can’t make up your mind about a party theme? Head to Note Couture for literally hundreds of design choices for personalised invitations and other stationery goodies – there are so many designs to inspire and all are reasonably priced (the challenge is in choosing one!). Lastly, go retro with feel-good designs from 1973. Simple and to the point, the monster party is my favourite. Find more party inspiration here.